Volatility alert! Please don’t push the panic button! Don’t indulge in distress sales during this period. Volatility is not as negative for your investments as you think. Setting financial Goals makes it clear when you want to achieve them. Stick to their plans and re-align your investments to your Goals. Have separate portfolios for different Goals. Invest in diversified assets. If there is volatility in the Stock market, your Debt market investments can help you balance your portfolio. Avoid investing in just one asset class. Don’t stop your SIP when the market plunges. 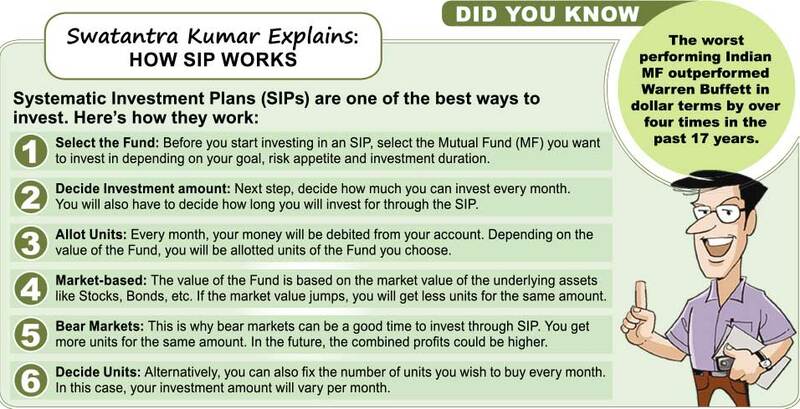 Stopping your SIP during market fall defeats the core purpose of investing through the SIP route. Continue your SIP to reap long-term benefits. Market volatility is a temporary phase. Volatility can occur many times during a given period of time. Frequently, changing your financial plan is bad for your investments. It’s as bad as not having a financial plan at all. The market downswing is an opportunity to buy quality Stocks. However, don’t just bottom fish. Not all Stocks available at low value are value Stocks. Check for company fundamentals and track record before investing. Long-term investments are the key to handsome returns. You will benefit through the power of compounding in the long-run. It is always better to seek expert advice. Financial advisors are market experts. They can help you develop or re-align your financial plans. Smart investments can help you manage volatility.